CAPE CANAVERAL, Fla. (AP) — NASA’s Mars rover, Opportunity, has been seen, but still not heard. The Mars Reconnaissance Orbiter took the picture last week from 166 miles (267 kilometers) up. NASA’s Jet Propulsion Laboratory released the photo Tuesday. The global dust storm prevented sunlight from reaching Opportunity’s solar panels, and the rover fell silent in June. Although the skies have cleared considerably, Opportunity has yet to send word to flight controllers. 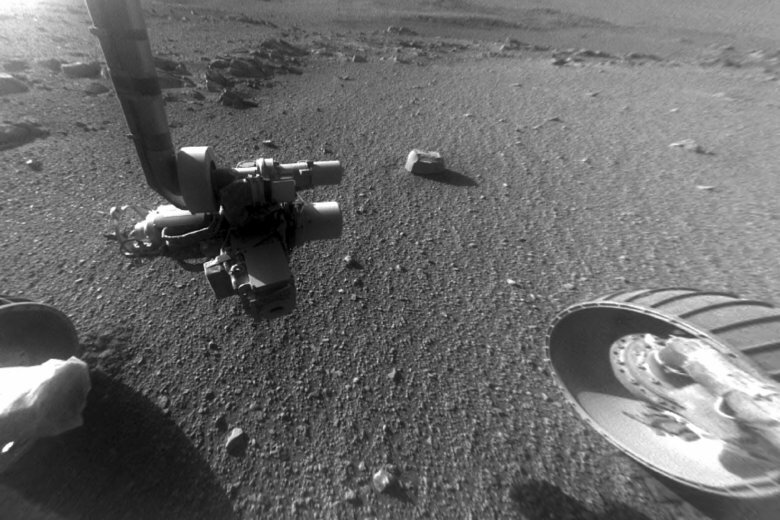 NASA has stepped up efforts to contact Opportunity, but acknowledge the nearly 15-year-old rover may not have survived the prolonged power outage.